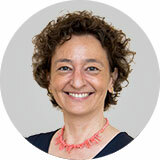 Iulia Pietruschevici leads our Romanian team as Managing Partner. With over 15 years of industry experience, Iulia is a generalist with a deep understanding of financial services, life sciences and FMCG markets. Prior to working in executive search, Iulia spent over 15 years in banking (ABN AMRO) and the pharmaceutical industry (AstraZeneca) in Romania, with seven of those years spent on the local Executive Board of AstraZeneca Romania.